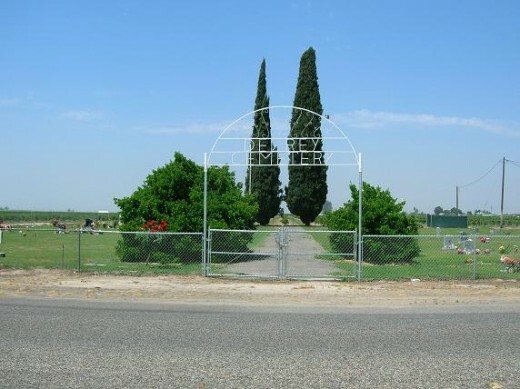 Dunlap Cemetery is located on Sans Baker Road in Fresno County. 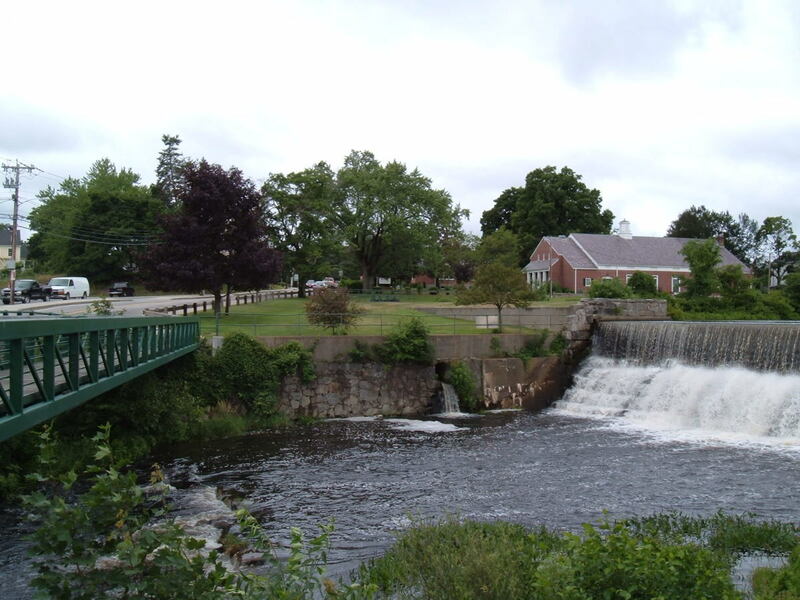 Dunlap is an unincorporated community with a population of approximately 130. In the 1800s it was a rest stop for stage coaches. It has roughly 350 interments. 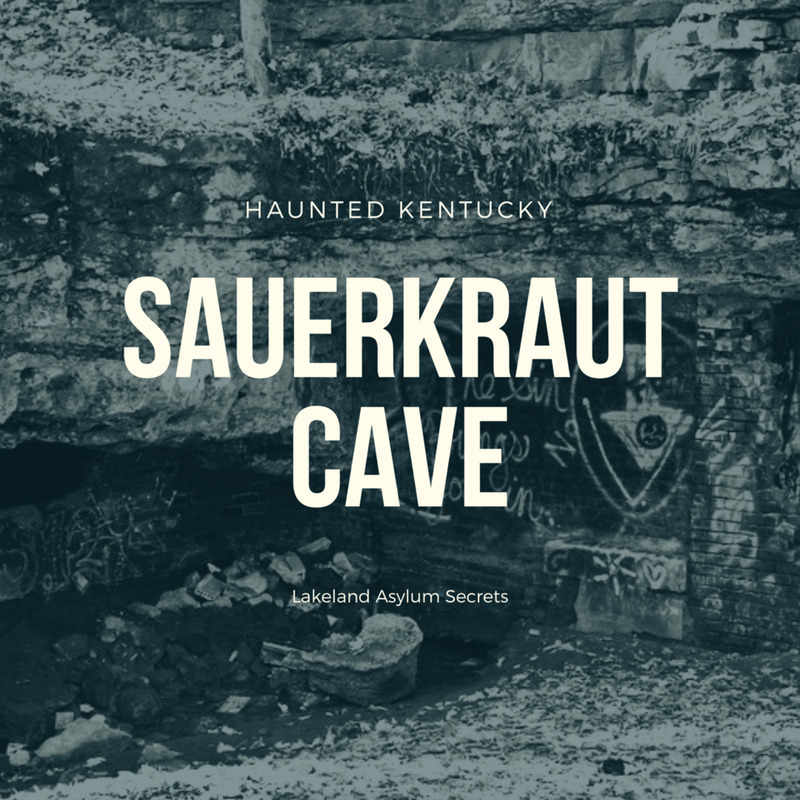 There is a legend that states that in the mid-1800s there was a shack on the outskirts of town that was home to a sect of devil worshippers. 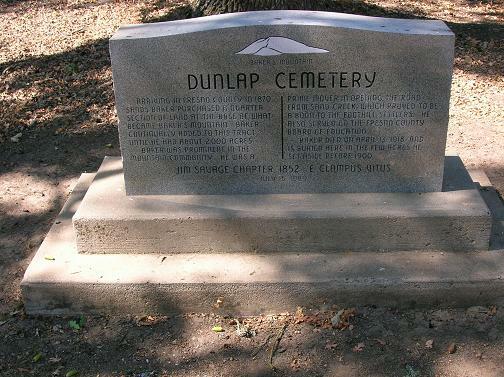 Every member asked to be buried in Dunlap Cemetery in an unmarked grave. If you take a walk through the cemetery you will see a surprising number of these unmarked graves. 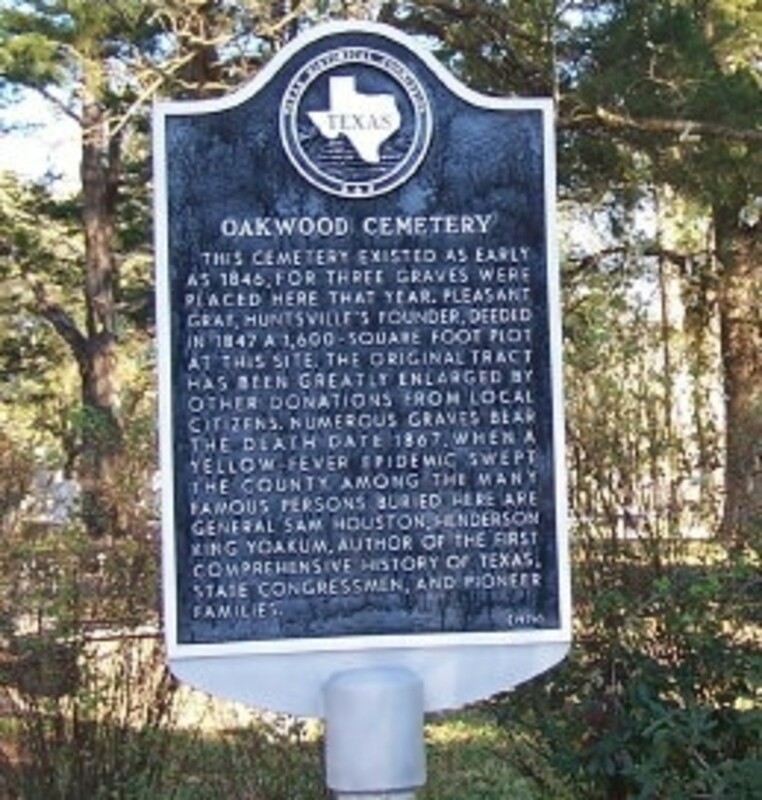 The graveyard is haunted by three shadowy, very tall figures near a group of oak trees. It is believed they were conjured up by the Satanists to protect their unmarked graves. Another story is of a woman who went into the cemetery during the day and heard an ominous whisper. The voices were chanting “Leave us alone.” She decided to ignore the voices and ventured even deeper into the cemetery. She could hear footsteps behind her. She would get an extremely cold chill every time she got close to an unmarked grave. The voices demanding she leave got louder and louder, eventually rising from a whisper to a scream. The woman could stand it no longer. The fear finally took hold and she left quickly. A researcher who visited also heard the voices saying “Leave us alone.” He had recorded the whole trip and did not actually hear the voices until he returned home and played back the recording. Adelaida Cemetery is in an unincorporated community about ten miles west of Paso Robles in San Luis Obispo County. There are around 250 interments here. Mennonite Christians from Germany were the first to settle here in the 1880s. The most famous ghost here is a Mennonite woman named Charlotte M. Sitton. During a diphtheria epidemic both her children died and she was so distraught that she committed suicide. There are conflicting reports as to the manner of death. It was either by hanging or by poison. Charlotte was 19 when she died in 1889. She appears in the cemetery every Friday night some time between ten o’clock and eleven-thirty. She wears a white dress and is seen wandering among the tombstones crying or drifting though the tall weeds. Calvary Cemetery has a little under 1,500 interments. It is located in Hanford, Kings County. Most of the hauntings here take place in the mausoleum. When people first go inside they get the distinct feeling that they are being watched. Disembodied voices are heard, but whatever they say is unintelligible. Since the 1960s there have also been sightings of an elderly woman in a white dress late at night circling the mausoleum. It is also been said that the mausoleum opens itself up on Friday nights. 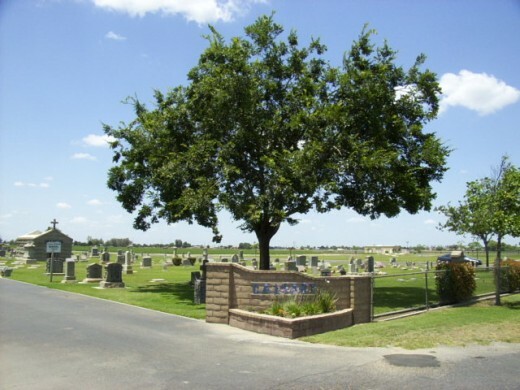 Del Rey Cemetery is also known as Prairie Cemetery. It has between 250 and 300 graves and is located in Fresno County. The haunting occurrences here include a glowing tombstone, disembodied voices, shadowy figures, moaning sounds with no apparent source, and cold spots. Ghost hunters have been successful in capturing high EMF (electromagnetic field) readings. 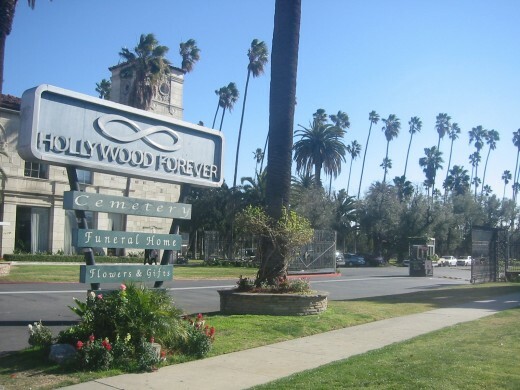 The Hollywood Forever Cemetery was originally just called The Hollywood Cemetery. 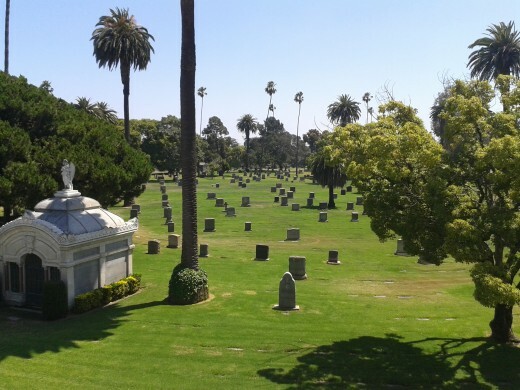 It is one of the oldest cemeteries in Los Angeles County. 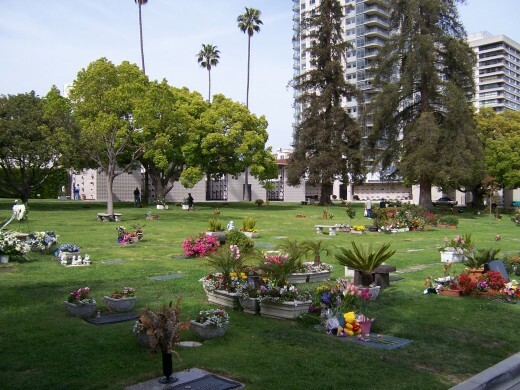 This cemetery, which is actually the only one in Hollywood, was established in 1899 on 100 acres by Isaac Lankershim and his son-in-law, Isaac Van Nuyo. This cemetery has almost a half million interments. Paramount Studios is right next door to the cemetery and apparently some of the occupants at the cemetery pay visits to the studio on occasion. The stages that are closest to the cemetery have had reports of ghosts dressed in clothing from the ‘30s and ‘40s walking through the walls and onto the stage. Some of the ghosts just stroll right through the gates or poke their heads through walls. Guards have claimed to see Rudolph Valentino going into the studio by way of the Lemon Grove gate. Clifton Webb, the original Mr. Belvedere, died in 1966 and haunts the Abbey of the Psalms mausoleum. The mausoleum has also had reports of cold air drafts, the smell of cologne, strange lights, and whispered voices. Another ghost is that of 26-year-old Virginia Rappe. She attended a party in 1921 that was a celebration for Roscoe “Fatty” Arbuckle, a famous actor and comedian. During the party Virginia became quite ill and died a few days later. There were claims that Arbuckle had raped the young girl. After three trials he was found not guilty (after two hung juries), but his career never recovered. An icy coldness hangs over her grave and sobbing is often heard in the area. The town of Spadra was founded in 1866 in Los Angeles County. The settlers were poor families escaping war and poverty in the American South. Spadra was annexed to Pomona in 1964. The cemetery is all that is left of Spadra, and unfortunately most of it has been vandalized. It has a little over 200 interments. One of the ghosts is a man who can be seen walking through the cemetery until he disappears into a tombstone. The cemetery is eerily quiet even though it is next to a busy freeway. When visitors come to the cemetery if they are respectful it remains quiet. If they are not, they are chastised by a very hot wind that only blows in the cemetery. There have been reports of objects disappearing and then reappearing in a different part of the cemetery. 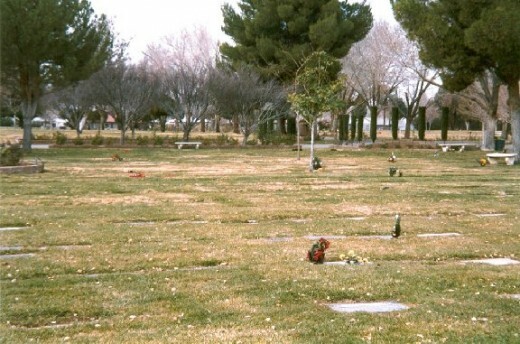 Lancaster Cemetery is in Los Angeles County in the area known as Antelope Valley. The first burials occurred in the early to mid-1890s. 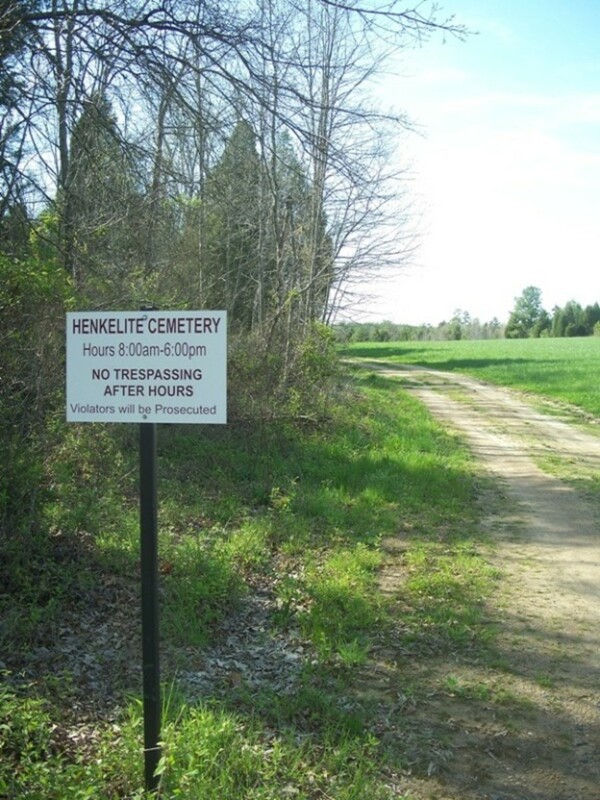 The property was owned by Benjamin Carter and the burials occurred without his permission. It was “officially” established in 1902 when Mr. Carter donated the property to Los Angeles County for the citizens of Lancaster. There are around 6,000 interments here. One ghost here is a little girl dressed in clothing from the early 1900s era. 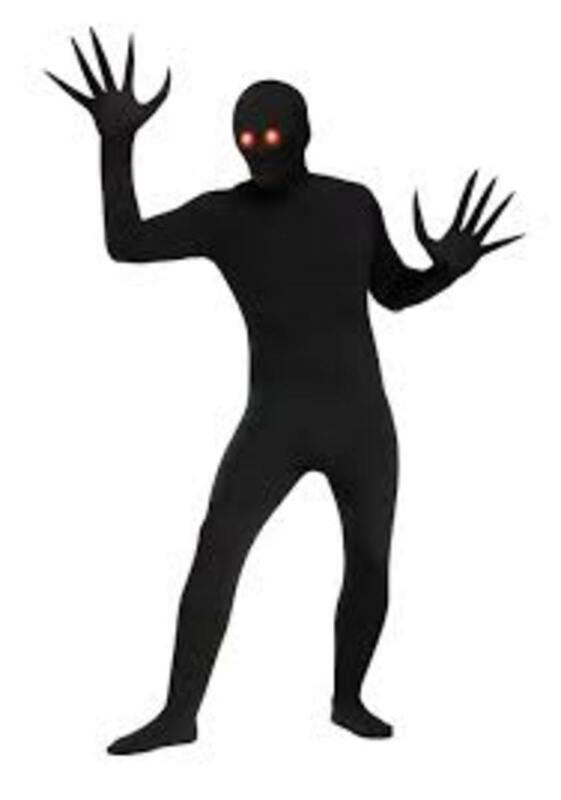 She is only seen at night and it always appears that she is looking right at you. Rose Hills Memorial Park is a large cemetery in Whittier, Los Angeles County with over 400,000 interments. Started in 1917, it is now owned by Service Corporation International. 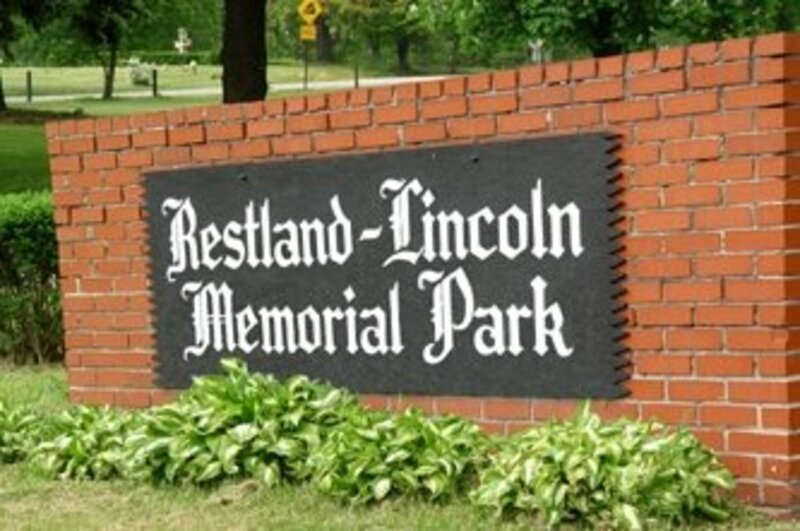 This cemetery is haunted by several children killed in a school bus crash and there is also a phantom dog that appears at the main mausoleum. 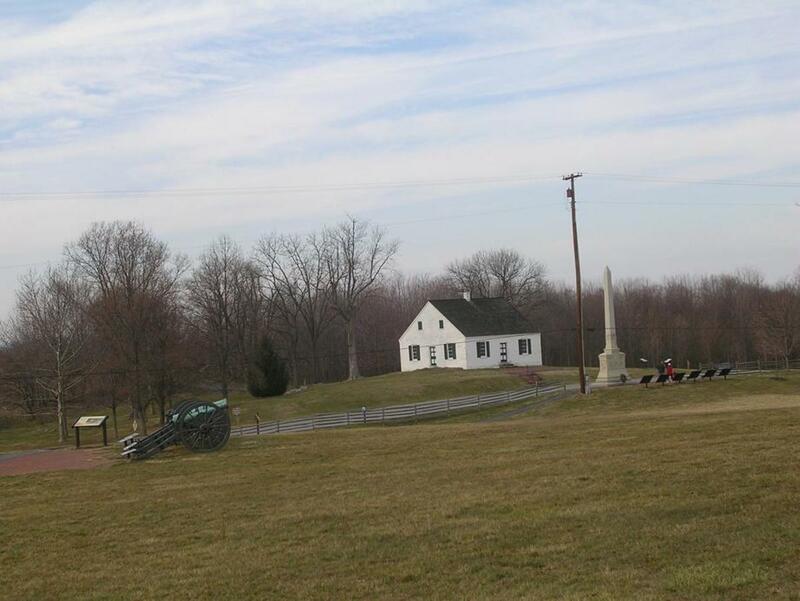 A “gravity hill” seems to be located in the section that contains the rose gardens. A gravity hill is a slope that if you park your car at the bottom and put the car in neutral the vehicle will roll uphill. It works for bicycles and skateboards, too. Westwood Memorial Park Cemetery is located in Los Angeles about eight miles west of Hollywood. The legal name is The Pierce Brothers Westwood Memorial Park Cemetery. It is the final resting place of many of Hollywood’s greats. It has around 6,000 interments. The first burials were in the 1880s, but it was officially established in 1905. One of the manifestations of this cemetery is a pink fog that occasionally arises in front of the marble marker of Marilyn Monroe. Inglewood Park Cemetery was established in 1905 in Los Angeles County. It has several famous entertainers including Ray Charles and Cesar Romero. There are over 90,000 interments here. There is a female ghost here who appears to be lost. She wanders throughout the cemetery, but when approached she disappears.